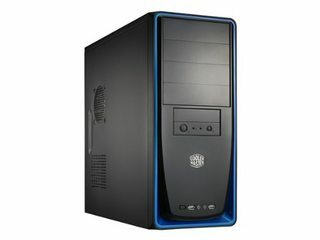 My friend is looking to buy used Cooler Master Elite 310 or equivalent cabinet. His budget is upto Rs.1000 only. If anyone is interested in upgrading their old cabinet then do let me know. Advance thanks!! I have just bought a second 2400 mhz for making my memory dual channel.Do you think it is worth selling these 2 sticks and buy 2 sticks of 3000/3200 mhz? I am mainly using my machine for gaming and in the next days I'll be a proud owner of a 2600 from AMD. Do you think it's worth the financial effort to change my memory sticks? 16 gigs, ofc, but now up to 3200 mhz. ZOTAC unveils its newest graphics card featuring NVIDIA’s newest addition to the Turing architecture family, the NVIDIA GeForce GTX 1650, thus introducing the ZOTAC GAMING GeForce GTX 1650 OC graphics card. The ZOTAC GAMING GeForce GTX 1650 OC graphics card sports a super compact design that will fit in 99% of systems built today with less than 6 inches in length and a two PCIe-slot thickness. 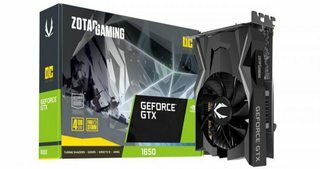 The ZOTAC GAMING GeForce GTX 1650 OC graphics card is now available in North America via Newegg and Amazon with an MSRP of Rs-10,487. ASUS today announced GeForce® GTX 1650 graphics cards, adding new products into the ROG Strix, Dual, and Phoenix lineups. Based on the GeForce GTX 1650 GPU, these new graphics cards leverage the impressive performance of the Turing™ architecture to provide a strong foundation for AAA 1080p gaming, or a plug-and-play upgrade for aging systems. ASUS ROG Strix GeForce GTX 1650, ASUS Dual GeForce GTX 1650, and ASUS Phoenix GeForce GTX 1650 will be available worldwide on April 23, 2019. 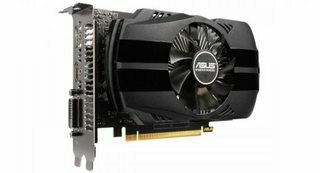 Pricing in the UK will start from Rs-12,459 for the ASUS Phoenix GeForce GTX 1650. Can I run a dual boot on a SSD? I want to install my win 8.1 and upgrade it to win 10. Then I believe i need to shrink the drive in disk management to install Win 7. If that's possible I should be able to install XP also and also maybe Linux too is possible... Am I wrong? I have created a quad boot before many years ago on a standard HD. Any pointers or ideas are appreciated. Today, GIGABYTE’s commemorative motherboard was teased by GIGABYTE join its latest news post. The GIGABYTE X470 AORUS Gaming 7 WIFI-50 sports the same specifications and features as the standard X470 AORUS Gaming 7 WIFI motherboard but with a commemorative packaging and an exclusive 50th Anniversary LED overlay to be installed on the right side of the motherboard with a dedicated RGB lighting zone. The GIGABYTE reveals the pricing of GIGABYTE X470 AORUS Gaming 7 WIFI-50 motherboard at which is around Rs-20,893. Release date is said to be this April 29, 2019. Recover deleted files from Android? How do I recover deleted files from Android internal memory? According to listings on the CPU Database over at TechPowerUp, the AMD Ryzen 7 3700X and Ryzen 9 3800X CPUs are going to launch in December this year. The Zen2 chips are some of the most hotly anticipated hardware components. According to the TPU Database, the Ryzen 7 3700X will be a 12 core part with 24 cores, with a boost clock of up to 5GHz. The latter is supposed to be a 16 core chip with SMT bringing the thread count up to 32. The 3800X should boost up to 4.7GHz. The Ryzen 7 3700X is rated at a TDP of 105W while the Ryzen 9 at 125W which is quite reasonable considering that both processors pack 10+ cores. I've been trying to get the Fractal Design Focus G White for awhile now and for some reason I have not received it yet (shipping errors and whatnot) I have a Rs-6939 limit and would want it in white to match my build. The two cases I have my eyes on is the NZXT H500 & the Inwin 303 but I'm not really sure which one to go with, both have decent reviews. I will be using a semi-modular PSU if that affects the choice.